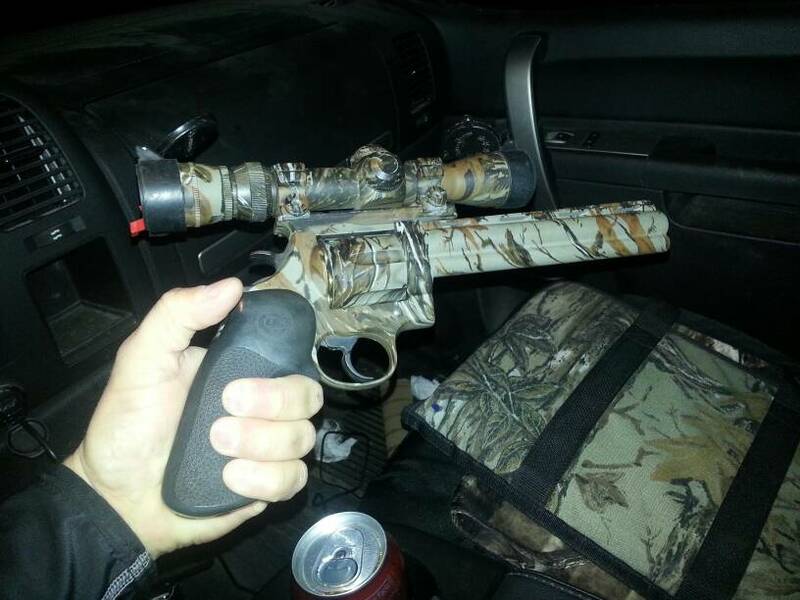 Anyone hunt with a 44 mag? I have a thing for lever actions, but I've never shot one of these. Anyone hunt with a 44 mag rifle? Sure do. Henry golden boy. Haven’t killed much with it yet. Few pigs couple does and a turkey. Shooting plain white box Winchester soft points. Yes sir. Knock over a deer every year or two with my Ruger Deerfield. Don't have a rifle, but hunt with pistol from time to time. I really want a Henry. Lots of models to choose from. Thats fancy looking. I have a Super Blackhawk hunter in .44 with open sights. Accurate as can be. I would love to have a lever action 44 mag. Last edited by pilar; 05-16-2018 at 08:40 PM. Don't have a rifle but I do have a .44 mag super redhawk. Lots of fun to put a empty refrigerant can out at 50 to 75 yds and bounce it around. Need to take a hog or deer with it. Factory ammo? What distance? Shot placement? I do, have, and always will. I’ve had and have several of about every Forty-Four rifle made. My go-to is a Henry BBS 16” with the big loop replaced with standard lever and Skinner dovetail ghost sights and front blade. But, the current Winchester 92 can be had new for about $850 and its the best hands down. I’ve killed about everything that needs killin with every type round to include handloads and the 240gr factory JSP does as good a job as any. The funky flavors kill no better but sometimes kill worse than the cheapo. The Buffalo Bore Type Keith loads are a whole nuther animal. A 41 mag kills no better than my 410 using Brenneke slugs, its a fact. I even have some 44’s scoped but It really ain’t necessary. I keep all my 44 mag shots at less than 100 because I always hunt like I’m bow hunting anyway. Last edited by Johnny44; 05-16-2018 at 09:18 PM. Within it's range limitations, the .44 magnum is an excellent hunting cartridge. I have a Winchester lever action and a Ruger 77/44 bolt action, and several .44 magnum handguns. I've never hunted anything larger than deer and hogs with them, but have never had a problem taking those animals. I'd use that cartridge on much larger animals, if I had the opportunity. I cast a lot of my own bullets for the .44's, up to 345 grains. If a pistol bullet is hard enough to stay together it doesn't expand much. There are some factors with the 77/44 that make it an anomaly. The recoil -vs- Weight -vs- velocity can make it “seem” inaccurate so don’t believe bad internet stories about it. The recoil on the 77/44 can make the gun move literally before the slower bullet exits the barrel. Your body weight and stance are a factor in this. You really need to hold the gun still through the shot like you were shooting a muzzle loader. Off hand is where some find the largest problem in this area. Great little rifle though. For me, I think the Rem 180gr pills work awesome in it and they are upwards of 2,200fps so it gets on down the barrel faster. Last edited by Johnny44; 05-17-2018 at 07:41 AM. 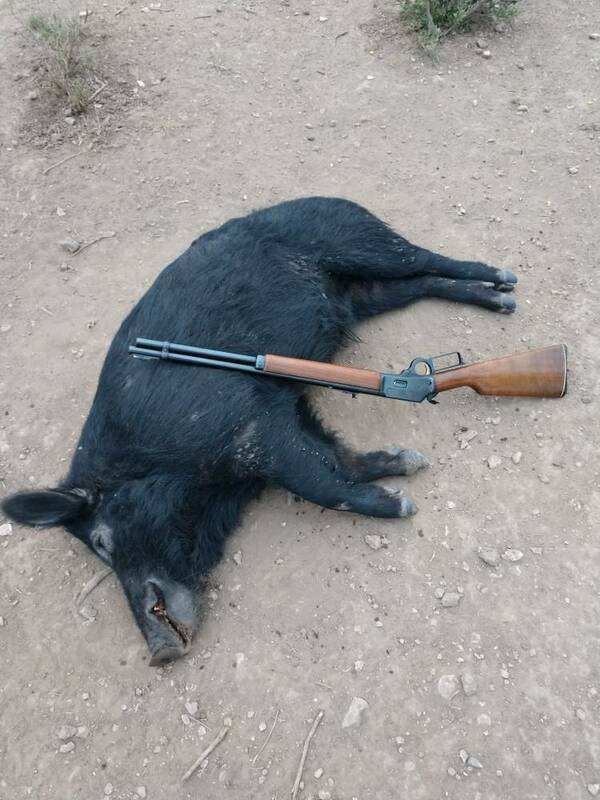 I have killed several bear, lions and hogs with a .44 Mag Ruger model 96 lever action rifle. I love this gun as it is short, lightweight and very nimble; unfortunately, Ruger no longer makes this rifle. We are leaving for a Navajo Spring bear hunt in the morning and Ruger is supposed to have me one of the Model 77-44 here today so that I can showcase the rifle that they are selling at this time. I am scheduled to go on a handgun hunt for Axis with Ruger in early June. I will be shooting the Redhawk in .44 Mag on this hunt as well. I typically shoot the Hornady 240 gr. XTP ammo in them as it really packs a punch at the closer ranges. Those ninety sixes are nice. I like a Stainless 77/44 set in a nutmeg Boyds Laminate with a Leupold 1-4x. Thats not being a debbie downer, its being realistic. The 30-30 makes much more sense in every way. Everybody has a different flavor. Yes sir, I like my little 44 Marlin but 100 yards is all its worth. I worked up a load using a whole bunch of WW296 and Hornady 200 gr XTP. They shoot real good, but it aint no 30-30. Reckon a feller has to realize its potential. I think we just have a soft spot for 44’s or we are in too deep? Single shot 44 Magnums are easy to ream to 445 Super Magnum for additional punch. That's if you can find the brass. 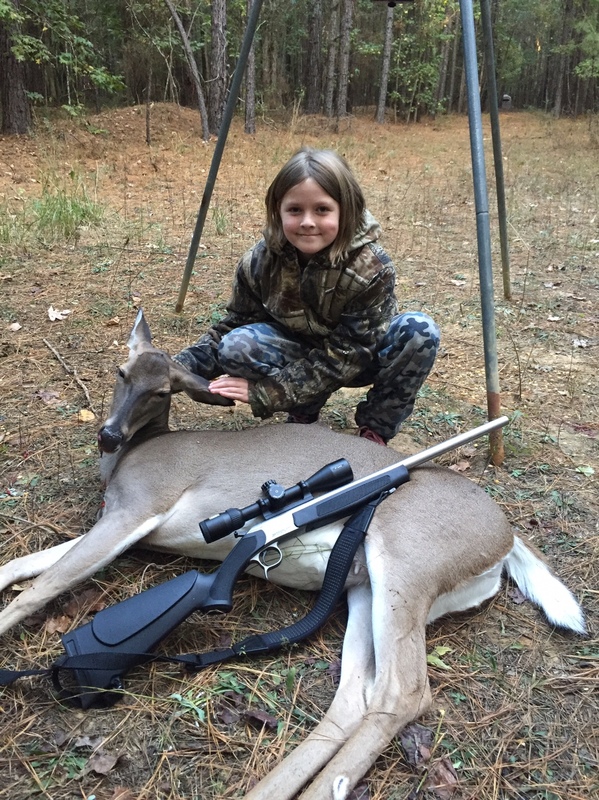 My granddaughter’s first with her CVA .44 Mag at 100 yards, you can see our blind in the background to the right of feeder legs. Yes, “eet will keel”. I have several .44 rifles and enjoy shooting them all. I think the way Buff says it, in reality a 30.06 will purty much cover most game I would ever hunt. But I like weird calibers and like to hunt with them. Heck my most favorite revolver round is a 44 special, and I like my 35 Whelen and 257 Roberts rifles. I have a Marlin 25-20 WCF that I want to shoot something with. Yes, I reckon I am in too deep. I might add that the CVA Scout V2 stainless 44 single shot is as practical and accurate as a Forty-Four needs to be, all of our other 44’s are fluff. When I shot this hog you could see his whole body shake from the bullet impact. I'll be using the 44 mag a lot more now!!! yep plan on doing more,,,, i have killed one deer with it and 1 with a pistol,,, i was working on the stand today so i can see the hogs a bit sooner! Many many years ago,I started deer hunting...with a Winchester model 92,chambered in 44-40. Many years later I acquired another mod 92 in44-40,I have used it for a few kills but old eyes demand magnification so a scope sighted rifle is all I use now. The 44 just gets it done. I’ve killed deer and pig with both the Ruger Deerfield and the old Ruger carbine throughout the years. I used Winchester 240 grain HP.